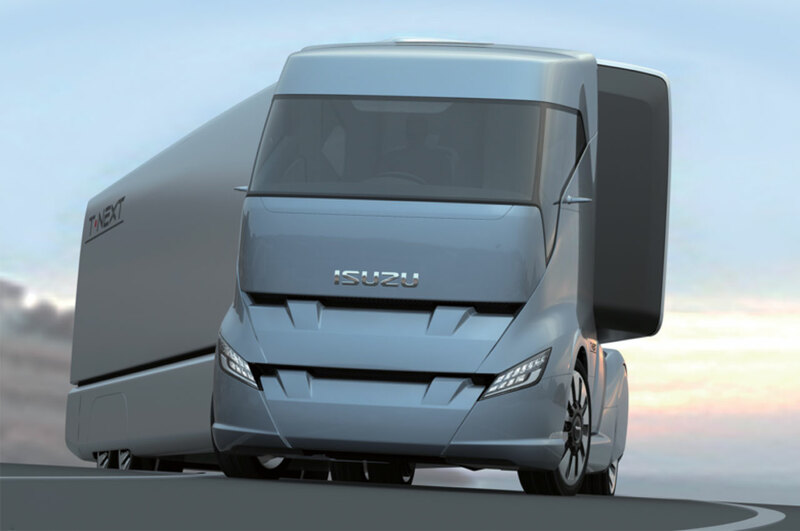 At the 2011 Tokyo Motor Show Isuzu has displayed a design study of a modern tractor unit focused on aerodynamic efficiency and safety - the T-Next. The exterior – based on the brand’s design identity “Clean, Solid, Emotional” – combines original elements such as the window graphics and the front openings with aerodynamic-focused elements like the rear view cameras and the sloped roof. The interior, not visible in the static model on display at the Tokyo Show, features an advanced connectivity system with multi-functional devices and a steering column that can retracts during breaks from driving to maximize onboard comfort.